Apple has a two-year head start in 3D sensing technology — can Android catch up? Most Android phones will have to wait until 2019 to duplicate the 3D sensing feature behind Apple’s Face ID security, three major parts producers have told Reuters, handicapping Samsung and others on a technology that is set to be worth billions in revenue over the next few years. The development of new features for the estimated 1.5 billion smart phones shipped annually has been at the heart of the battle for global market share over the past decade, with Apple, bolstered by its huge R&D budget, often leading. When the iPhone 5S launched with a fingerprint-sensing home button in September 2013, for example, it took its biggest rival Samsung until just April of the next year to deliver its own in the Galaxy S5, with others following soon after. The 3D sensing technology is expected to enhance the next generation of phones, enabling accurate facial recognition as well as secure biometrics for payments, gesture sensing, and immersive shopping and gaming experiences. 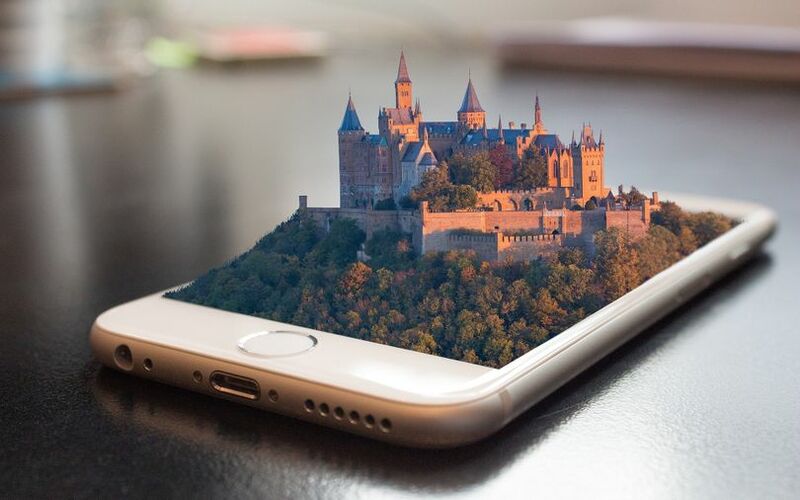 Tech research house Gartner predicts that by 2021, 40 percent of smartphones will be equipped with 3D cameras, which can also be used for so-called augmented reality, or AR, in which digital objects cling tightly to images of the real world. According to parts manufacturers Viavi Solutions Inc, Finisar Corp and Ams AG, bottlenecks on key parts will mean mass adoption of 3D sensing will not happen until next year, disappointing earlier expectations. That means that China’s Huawei, Xiaomi and others could be a total of almost two years behind Apple, which launched Face ID with its iPhone X anniversary phone last September. In particular, Android producers are struggling to source vertical-cavity surface-emitting lasers, or VCSELs, a core part of Apple’s Face ID hardware. “It is going to take them a lot of time, the Android-based customers, to secure capacity throughout the whole supply chain,” said Bill Ong, senior director of investor relations from Viavi, seen as the only major supplier of optical filters needed for the 3D sensing modules. “We may have a potential introduction of a second handset maker into 3D sensing at the end of this calendar year. (But) the volumes would be very low. In 2019 you clearly will see at least two or more android-based phones,” he added. Ong declined to name the company that might launch an Android phone with 3D face recognition this year but said that Viavi was in talks with all the major smart phone makers to supply the filters. Some Android phones with 3D sensing capabilities have hit the market in small numbers, such as the Asus ZenFone AR released last year, but those models didn’t use the sensors for facial recognition like the iPhone X does. Apple, Huawei and Xiaomi all declined to comment, as did Samsung, whose current phones use a standard camera for facial recognition. Apple’s effort to get ahead with the technology is the latest evidence of an aggressive approach by the Cupertino-based company to making the most of the technological advances its financial firepower can deliver. The iPhone maker’s $390 million deal in December to secure supplies from VCSEL-maker Finisar was one such move. Another is Apple’s discussions with major cobalt producers to nail down supplies for lithium-ion rechargeable batteries that power its mobile phones. Several sector analysts say their channel checks show Apple was initially sourcing VCSELs chiefly from California-based Lumentum and that bottlenecks in production there last year also spurred the $390 million deal with Finisar. Lumentum, which declined to comment, is ramping up additional manufacturing capacity for VCSELs and edge-emitting lasers for the first half of fiscal 2019, according to the company’s earnings call. It will also be helped by the purchase this week of another optical components producer Oclaro Inc. Finisar too, expects to expand in 2019. All of that, however, still leaves the major Android producers searching for their own supplies of VCSELs. Craig Thompson, vice president of new markets at Finisar, says interest in the technology is universal across the sector. “Each customer has their own adoption timeline and rollout plan, which we can’t discuss, but we expect the market opportunity for VCSEL technology to increase substantially in 2019,” he says. Another producer, Austria-based Ams, also expects to have VCSEL chips widely available next year and says it has won a large deal with one phone maker. “As part of a combined external and internal VCSEL supply chain where an external volume production supply chain is available to us, we are currently building internal VCSEL production capacity in Singapore,” Moritz Gmeiner, head of investor relations for AMS, told Reuters.